On 23 October, the edusel team will be running a seminar at BESA offices in London, to discuss best practices in recruiting sales people in the education sector. 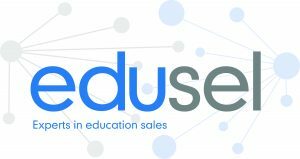 It is a particularly difficult sector to get good sales people, Romy Sembi, Director of Talent at Edusel, told BESA. Romy, an industry leader in recruiting and training sales people, has supported TES and the Guardian Media Group – among many companies – to transform the sales performance of their sales people. Ahead of the workshop, he took a few minutes to chat with BESA about the event and the challenge of ‘Selling to Schools’. Cleo: First things first, can you tell us what the main challenges of recruiting sales people in the education sector are? Romy: The biggest challenge is that we have to accept the fact that there is not enough sales people with educational sales experience. For organisations to grow, they have to accept that they’ll need to recruit sales people with transferable skill sets. Finding the right sales person with the right attitude, mental agility and personality traits to sell within this space is far more important. Businesses have to ask themselves the question, is it a training need or an ability issue? Equally, because it is a candidate-driven market place, unfortunately there are more sales roles than quality sales people. Cleo: So do you think the education sector is particularly difficult to sell into? Romy: Yes, for two reasons. Firstly, you have a totally new language to understand. Secondly, the decision-making process can vary depending on the type of school you are selling to. What is critical is the ability to follow a process that encompasses key sales methodologies with relevant education language. Cleo: What can participants expect to learn at the seminar? What will they leave with? Romy: By the end of the seminar, participants will know how to reach and attract relevant sales professionals, and they’ll have learned the best interview process to follow that will test and prove that they have recruited the right sales employee. Cleo: Can you give us an example or two of companies that you’ve helped successfully overcome their challenges and increase their growth? Romy: When I worked with TES, they totally redesigned their sales process across the business and rolled out the solution sales approach. Another example is nmx-it.co.uk, which is a company of School Cyber Security Experts. They were having issues making effective sales meeting, and Edusel redesigned their sales approach and applied its hands-on approach to live call coaching, which has resulted in an immediate uplift in appointments and sales closed.